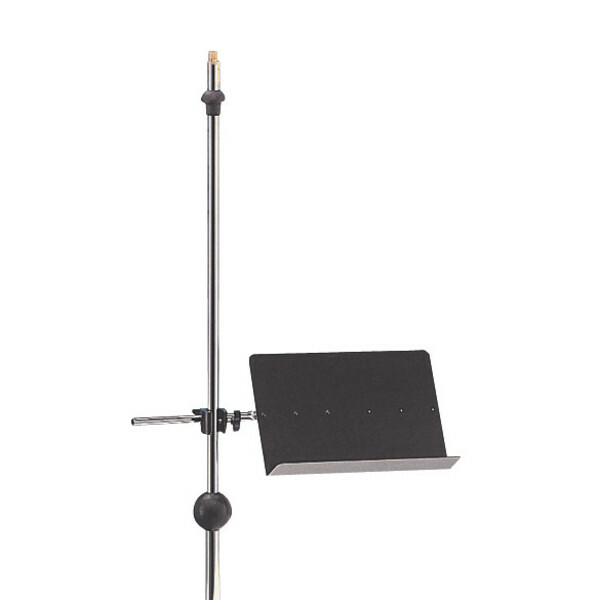 The Quiklok MS303 Clamp-On Sheet Music Stand can be attached to any standard diameter microphone or music stand. Its small size and light weight design make it easy to transport. Height adjustment range: 40.5" to 59"